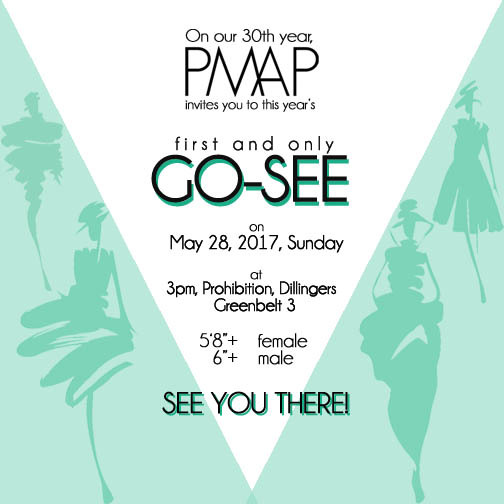 To all PMAP hopefuls, we are having our first and only go-see for the year on May 28, 2017. Be part of the Philippines’ first and only modeling association consisting of top models, fashion icons and beauty queens. See you!